India has opened Zokhawthar land immigration check-post in Mizoram along with the border with Myanmar. It has been designated as an authorised immigration center for entry into and exit from India with valid travel documents for all passengers to or from Myanmar. Zokhawthar land immigration check-post will be second immigration check-post in Mizoram along Myanmar border after Zorinpui check-post in Lawngtlai district which was opened in September 2017. India shares 1,643 km-long border with Myanmar which touches Arunachal Pradesh, Nagaland, Manipur, and Mizoram. It is fifth largest after Bangladesh (4,096.7 km), China (3,488 km), Pakistan (3,323 km) and Nepal (1,751km). 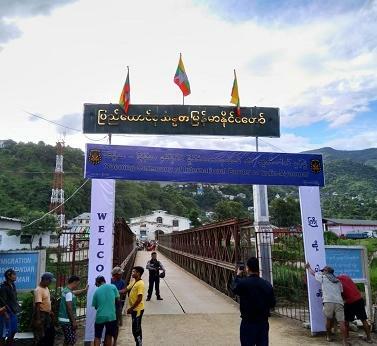 Earlier in August 2018, India and Myanmar opened the land border crossing at Zokhawthar-Rih. Zokhawthar is in Champhai district of Mizoram, while Rih is in Myanmar’s Chin province. Zokhawthar border trading post is one of the largest trading centers after Mizoram’s state capital Aizwal.